DEERFIELD, IL: Spirits company Beam has selected Coyne Public Relations as AOR for its Skinnygirl Cocktails brand following an RFP. DEERFIELD, IL: Spirits company Beam has selected Coyne Public Relations as AOR for its Skinnygirl Cocktails brand, following an RFP. The low-calorie, ready-to-serve cocktail, wine, and vodka collection chose Coyne because of its creativity, said Paula Erickson, VP of global communications and PR at Beam. Prior to Coyne, Skinnygirl worked with Rogers & Cowan for two years. The contract with the Interpublic Group firm ended in July. Coyne has been tasked with helping the brand expand its global reach by developing and executing a PR program that will integrate with Skinnygirl's marketing plan for 2013, explained Erickson. With a team of five staffers working on the account, Coyne will reach out to a variety of consumer lifestyle and trade media outlets, as well as bloggers, said Jennifer Kamienski, SVP at the agency and lead on the Skinnygirl account. She added that Skinnygirl has a built-in fan base because of its founder Bethenny Frankel, who is a New York Times bestselling author, but Coyne will work to reach new consumers while still engaging its core audience. Coyne will also work closely with Skinnygirl's other agency partners, including ad agency Walton Isaacson, media buying firm Starcom, content creation and social media company Liquid Thread, and digital agency iCrossing. 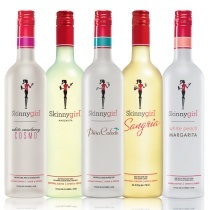 The holiday season is also a popular time for the brand, said Kamienski, so the firm will promote some fun drink recipes to Skinnygirl's target demographic of women aged 30 to 39 for the remainder of the year. Earlier this week, Coyne worked with Skinnygirl to launch an initiative with non-profit organization Dress for Success, aimed at helping women succeed in their careers and everyday life. The brand, which kicked off the campaign with a $150,000 donation to the organization, has promised to donate $1 for every inspirational message posted on its Facebook page, up to $100,000. Other Beam brands include Jim Beam bourbon, Maker's Mark bourbon, Sauza Tequila, Canadian Club whisky, Courvoisier cognac, Knob Creek bourbon, and Laphroaig Scotch whisky.